A Magazine that Spotlight's Independent artist, Small Businesses, and non mainstream Entertainment. It’s a Market that's full of people that are making it happen one opportunity at a time!! 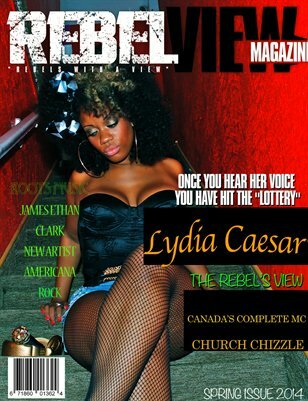 Spring Premiere Issue features Lydia Caesar, James Ethan Clark, Kidd Kamm, Omar Mccallop and Rebels View Editorial Section and much more!! !